After studying Fine Art at University, Jamie landed a typical office job, which lacked the passion that studying art had given her. In an effort to get some spark back into her life, she discovered Pilates on YouTube, after looking around on the Internet for an exercise she could do at home after the 9-5 office grind. She had been searching for something that meant as much to her as her art did, and she finally found something that made her feel truly alive! She decided to start training with the Pilates Foundation after finding that an office environment is not where she wants to be for the rest of her life, and to pass on the gift of Pilates to other people. Since starting her training, Jamie has realised that Pilates can bring more than just physical strength, but also mental wellbeing and a feeling of control and empowerment that is so easily lost in today’s modern working environments. 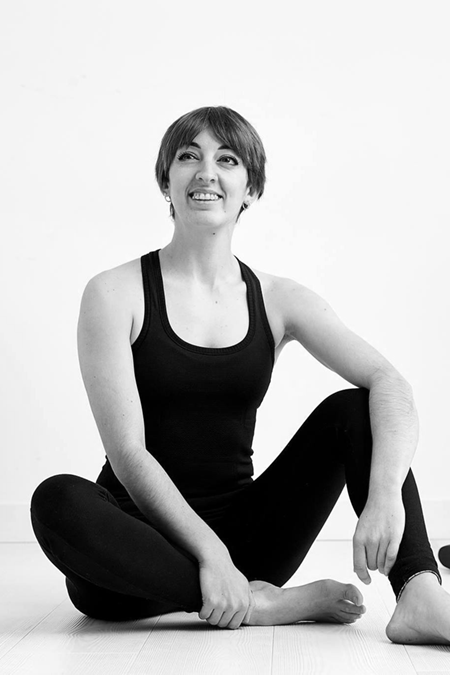 Her style encompasses a wide range of methods to get clients to gain back the connection to their bodies using the Pilates core principles – you cannot build a healthy body & mind on unknown foundations. Jamie still continues to make art, and enjoys practising a wide range of physical exercises, including running, cycling, strength training, and Yoga. Energyflowfitness is an established Pilates Studio in Chorlton, Manchester running Equipment and Mat Classes, Workshops and Retreats.